Most people in Missouri typically have a boat because they always wanted a boat. Now, they own a boat and they realize it depreciates so quickly and then realize, “I don’t get to use it as much as I thought I would, and now it’s one of those things where I have a boat, I’ve got to take care of it and that takes a lot of time.” Then, the one weekend they take it out and get to use it, “Oh, it’s great having a boat.” The fact that Ceramic Pro will save you time and money not only while you own the as well as when it comes time to resell and replace. Ceramic Pro Marine is a great product then, because it significantly reduces the amount of time it takes to clean and take care of the boat. It strengthens the gel coat on the boat, which helps to keep barnacles and algae from forming. 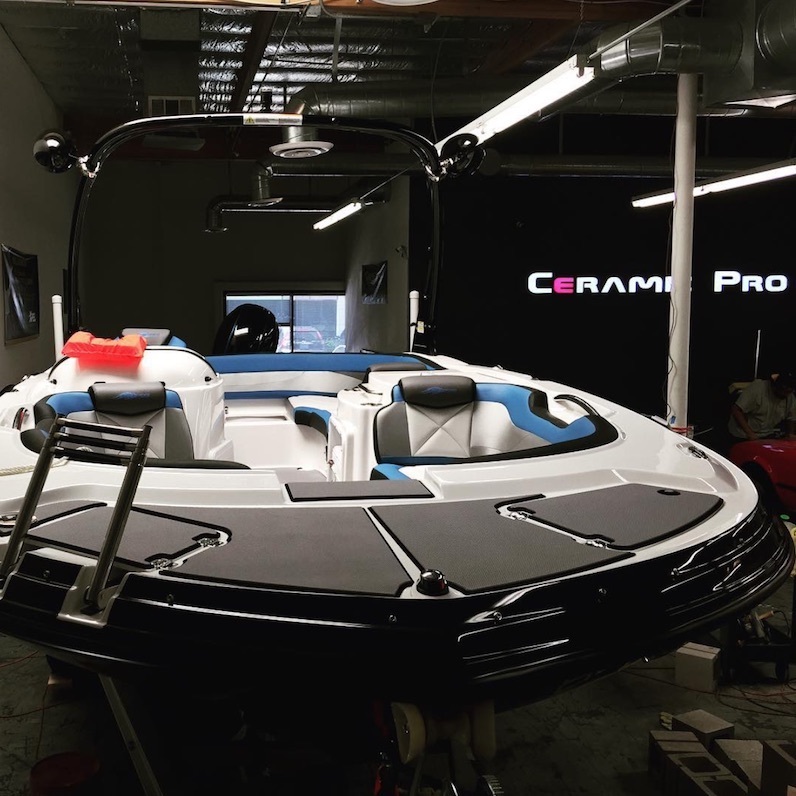 Ceramic Pro also helps with the UV damage to the boat. An additional benefit is that it really increases the surface tension of the vehicle. What does that mean? Basically, your boat is going to have a slicker bottom, which means that you can go faster on less fuel. Between saving money on fuel and being able to just pull a boat out and launch it in boat season, Ceramic Pro Marine saves boat owners a significant amount of time which means that it’s flat-out easier to enjoy your boat. Everyone hates their boat because they don’t get to use them enough. Ceramic Pro Marine is a great because it reduces maintenance, saves you money on fuel, and lets you get the maximum amount of time out of your boat.